A few years ago, I was having dinner with some friends when I learned that one of them did not know what microfilm was. This conversation then turned to talking about why only some of us had heard of and used microfilm and others had never heard of it. As a new archivist (at the time), but a relatively seasoned researcher, I was shocked. It is conversations like that that remind me that not everyone knows why archives and libraries do the things that they do, which can seem intimidating. For someone visiting a repository for the first time, there are a few things that you should expect and can do ahead of time to maximize the amount of time you have available to look through material. The first thing to do is to contact the archives and tell them what collection you are interested in looking at and when you would like to view it. 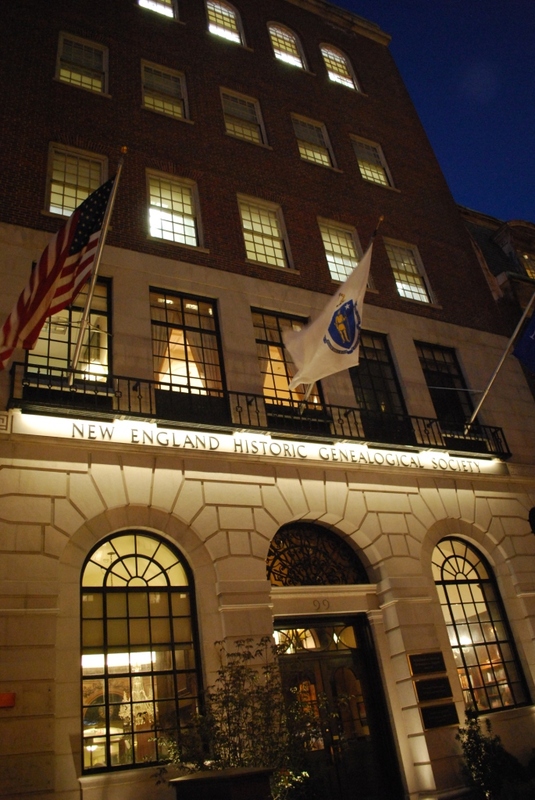 At NEHGS, our catalog indicates when a collection is off-site, but not every repository does and even if a repository’s catalog says that the material is on-site, I still contact them to make sure it is and arrange everything for my visit. There is the possibility that the catalog wasn’t updated and the material needs to be called back from off-site storage; the library may also only pull material at certain times; and the staff may have cut-off times for requesting material. If they know you are coming ahead of time, they can have the material ready for you. This is one way to make sure you have enough time to look at everything you need. [Even] if a repository’s catalog says that the material is on-site, I still contact them to make sure it is and arrange everything for my visit. Secondly, once you arrive at the repository, they will most likely ask for you to provide them some form of identification and ask you to fill out a registration form. Most places that I have been to have forms that ask for your name, address, phone number, what type of research you are doing, and your topic of research. On the weekends, I volunteer at a historic house museum and library, working to organize its collections to provide access: creating a registration form was one of the first things that I did. The form is a way for the repository to keep track of who has been there and what topics people are interested in researching. Additionally, you will likely be given a copy of the rules that you must follow while working with the material. Sometimes it is on the registration form, such as I the one I created, or will be its own form depending on how many rules they have. The rules for any one repository will be similar to the rules at any other repository you visit. Shortly after creating my form, we had a Fulbright Scholar from Argentina who wanted to use our collection and he commented that the rules at every place he went to were similar. The most common rules are: use one folder at a time, maintain the material’s order in the folders, do not write on or mark material, and use only pencil. These steps are in place not to make archives intimidating, but rather to know who is using the material and to make sure that users understand what they need to do to help preserve and make accessible the material for future users. For me, visiting town halls and using original material is how I started my genealogical research; after visiting larger repositories, if given the opportunity, I would gladly go and use original materials every time. I guess I’m as shocked as you were that your friend had never heard of microfilm. I knew about it in early adolescence, and that was a long time ago! But then perhaps that may be why your friend hadn’t heard of it; too young?? Before visiting a research library or archive, I’d recommend checking their website for hours, copying fees and methods (coins? pre-paid card you must purchase? ), and other restrictions. Then check the catalog, often online these days, for items you want to see. In some libraries you must fill out slips for the staff to pull and bring the books to you. The rest of us will be grateful if you help them do this efficiently by sorting your requests by call number. I picked up the best idea from my recent visit to the FHL in Salt Lake City. 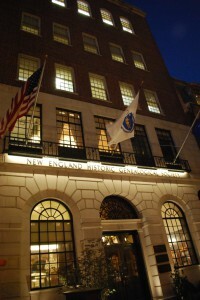 Their microfilms are stored in steel file cabinets, hundreds of them. When you fetch your film, place a tiny distinctive magnet on the drawer and you will save a lot of time refiling your films. I suppose you could use a little sticky dot on wooden drawers found at other archives. I’m adding both to my pouch of research supplies. Last winter, I had the opportunity to do research at UNC – Chapel Hill in their Southern History collection. Their rules are very strict about what one can bring into the reading area, but they allow a computer and digital camera (no flash). I can type faster (and more legibly) than I write longhand, and the digital camera will not affect the document as a photocopier might. I appreciated the fact that the librarians were very watchful and, hopefully, prevent losses of documents from the collections. Sadly, I have done research in other collections where documents have been misfiled and stolen. Very good! However, I’d add another First Step: make sure that the library is going to be open. Nothing like driving for miles only to discover that the building is closed for renovation, etc. Be very careful to keep even a tiny magnet FAR away from your USB Jump Drive, or risk erasure of its memory. Excellent point. Thanks. I have the little post it arrows in day glo colors. Speaking as a librarian, don’t be intimidated by your surroundings. Understand that the staff is eager to help you. Many people feel embarrassed to admit that they are unsure of the best way to use a library or archive . The truth is that people who work in these places have a service oriented mentality. All of us are ignorant about something, and the staff knows this. Moreover, even if you are an experienced researcher like I am, there are always quirks about the library’s collection that are known only by the people who work there every day. This was very informative. Thanks for taking the time to write it and share it.